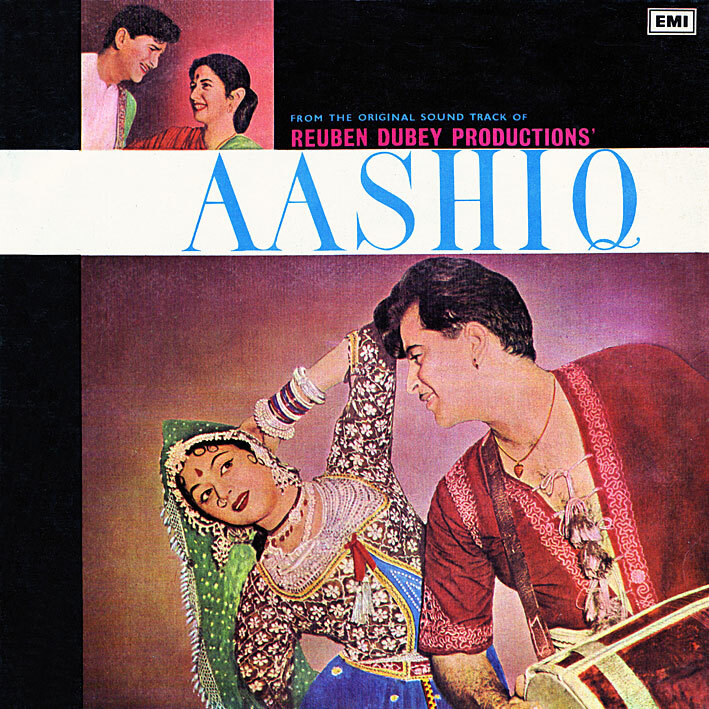 According to the sleeve, Shankar Jaikishan's brief for this one was that "the music of this film had to be the expressive parallel of the central character's restlessness and hidden yearnings". I don't know if they succeeded or not as I've not seen the film. Unfortunately, there's nothing here that makes me want to. It's mostly traditional/classical sounding, without much in the way of attention grabbing arrangements. Thus leaving me very little to latch on to or get excited about. I might return to 'Mehtab Tera Chehra' as it's quite pleasant, and there are some instrumental details in 'O Shama Mujhe Phoonk De' that I like, but not much else. I suspect (hope at least) that those familiar with the context or able to understand the lyrics will appreciate 'Aashiq' more. Another Shankar Jaikishan score :) Thnaks. I'll give it a try! :)) Thanks PC. Thanks a lot PC for this score !...fantastic album by S-J...great tunes and orchestration...and what sound clarity...definitely beats the ACD by miles. S-J were a class a part !. Btw, how many more S-J albums do you have ?....I am sooo looking forward to more S-J from you lol. Glad you like it, I think there are 2 or 3 more by them to come. I've been looking for this film for ages (though can't seem to find it anywhere). Why? PADMINI, mainly - a few wonderful dances by her. And I do like the soundtrack. I think "Jhanan Jhanjhanake Apni Payal"
I downloaded this from "Parties, Sarees and Melodies" a while back but left it on a broken computer, so now I'll try your copy - thanks! Ah, yes I'd forgotten this had been posted there earlier... Check out Stella's take on the album here.